You can delete your account including all courses, files and personal data under Account Settings > Profile > Delete my account. 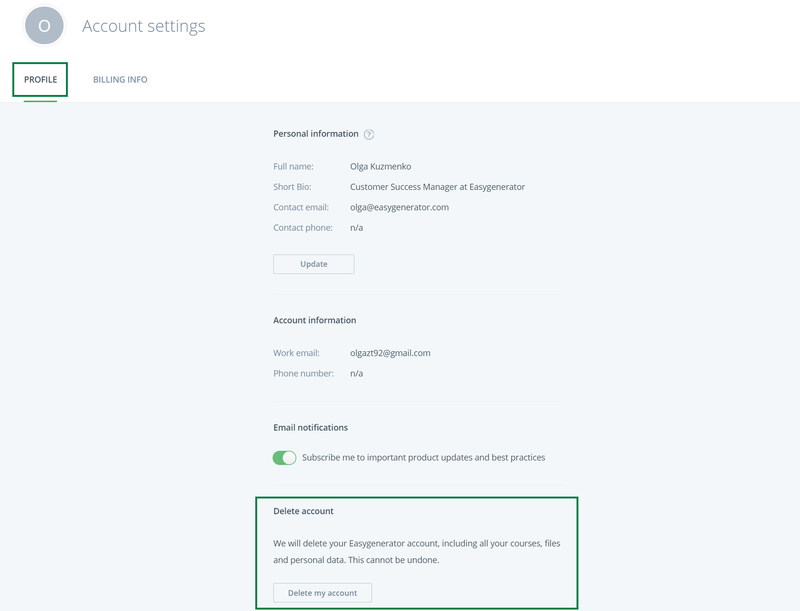 If you would like to delete/close your account or permanently remove all data associated with your account, you can do this using the Delete my account feature on your profile page. Open the User menu > Account settings > Profile > Delete my account. 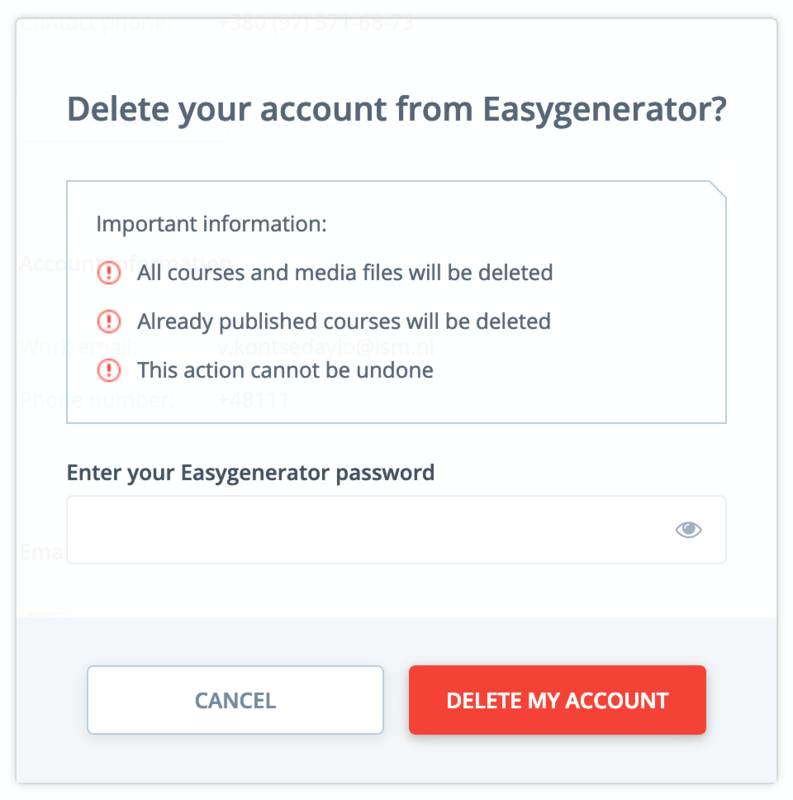 Your Easygenerator account, including all your courses, files and personal data will be deleted. Important: Please note that once the account is deleted, all files within the account will be removed, and it won't be possible to restore them. This also affects the images and videos in your library and therefore any transferred courses as well. This cannot be undone.